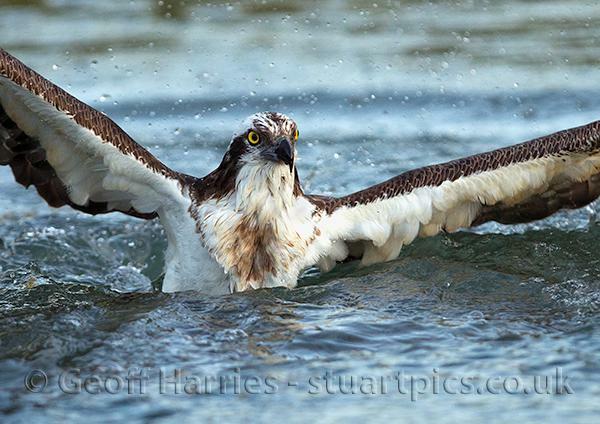 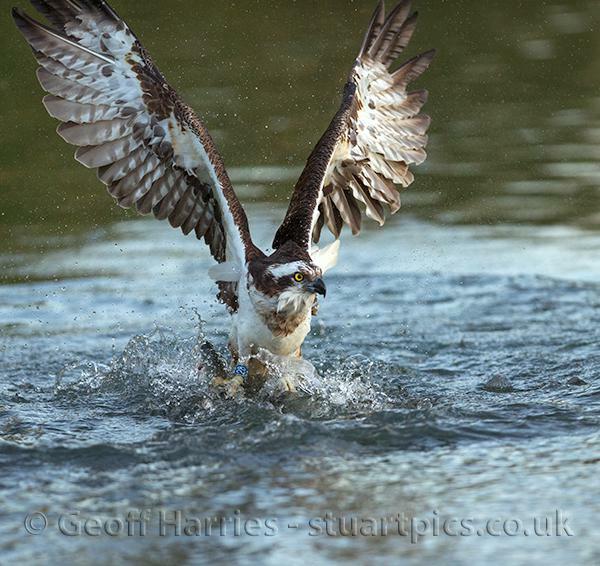 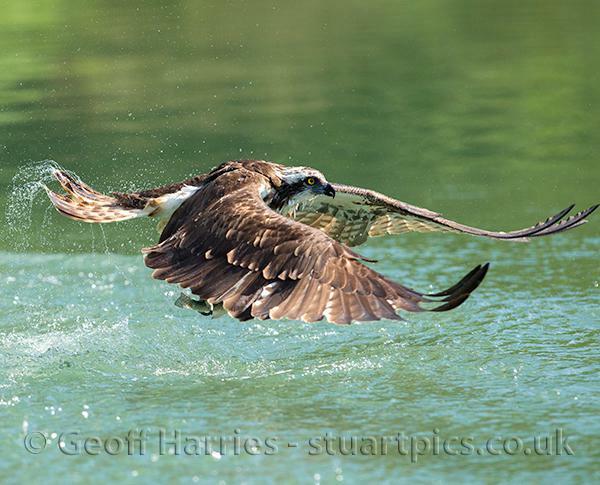 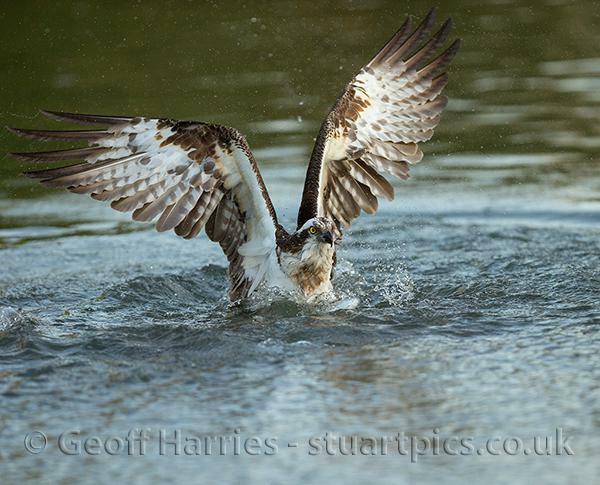 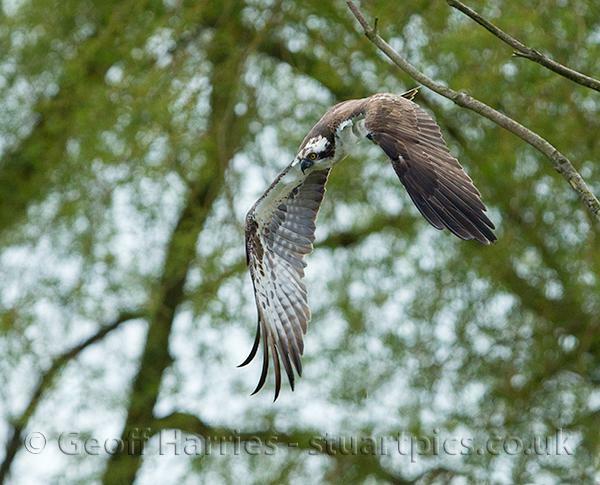 Some of the osprey images from a session at Horn Mill photographic hide, with 3 different birds making 10 dives and catching 4 fish. 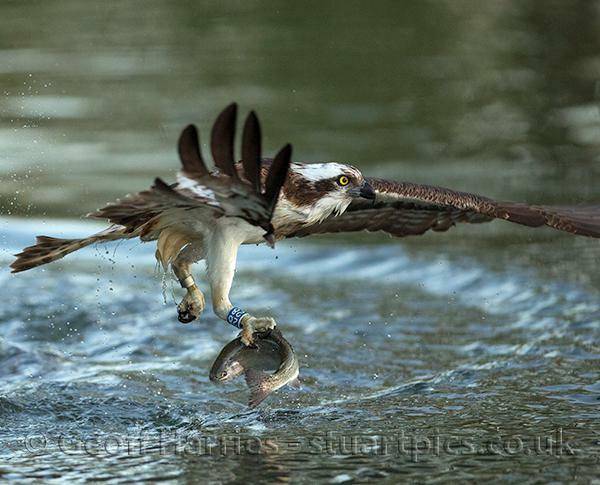 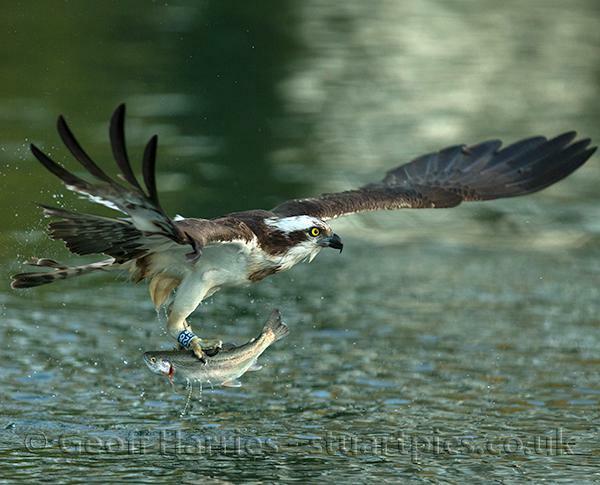 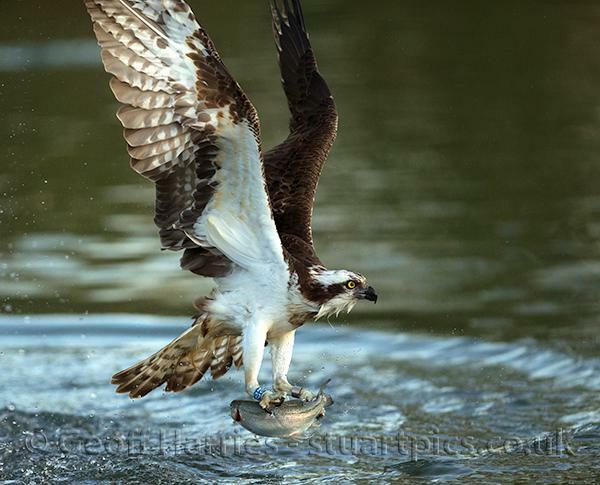 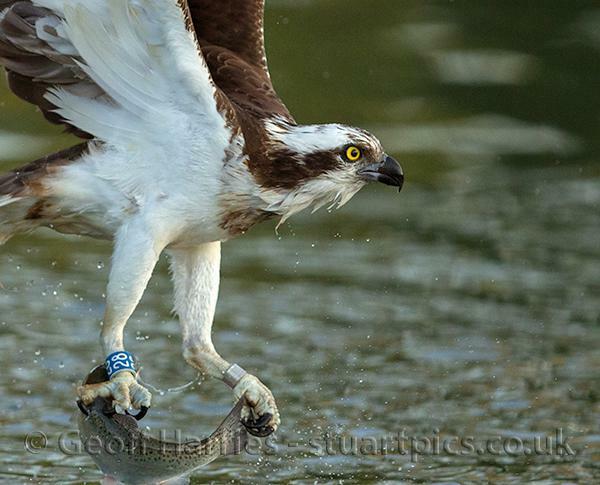 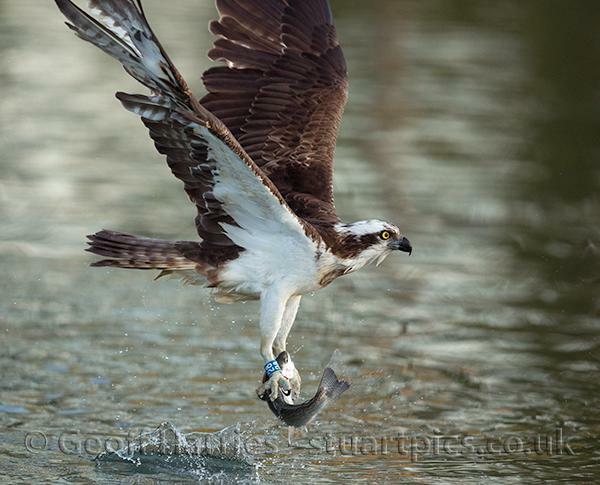 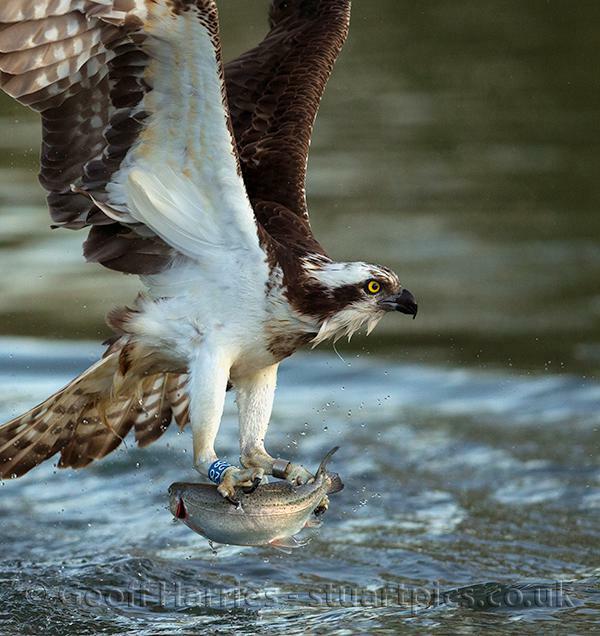 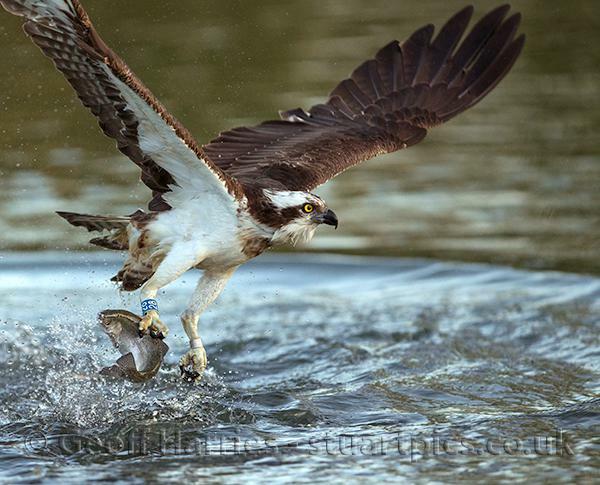 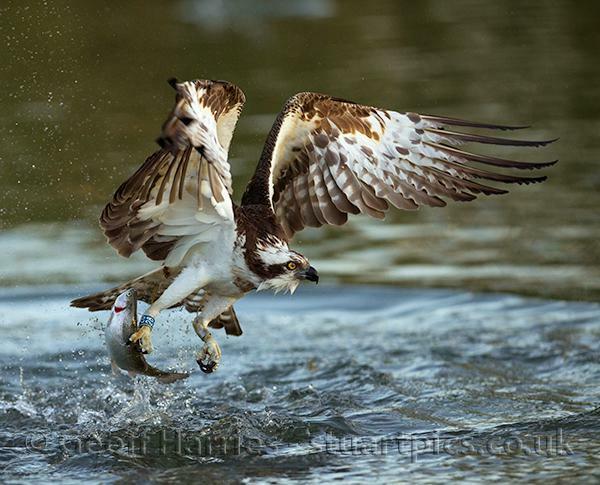 Not every dive is successful and the osprey will pull out of a dive before hitting the water if the target fish has moved. 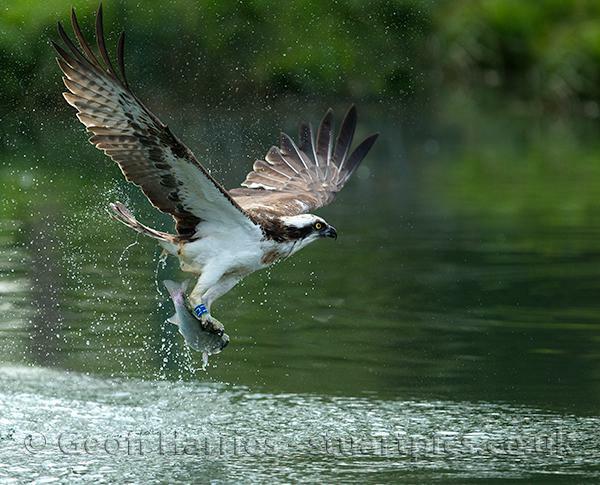 The bird focuses on a fish, and there are 10,000 in this pool, and it dives for it with an average success rate of 1 in 4 hits. 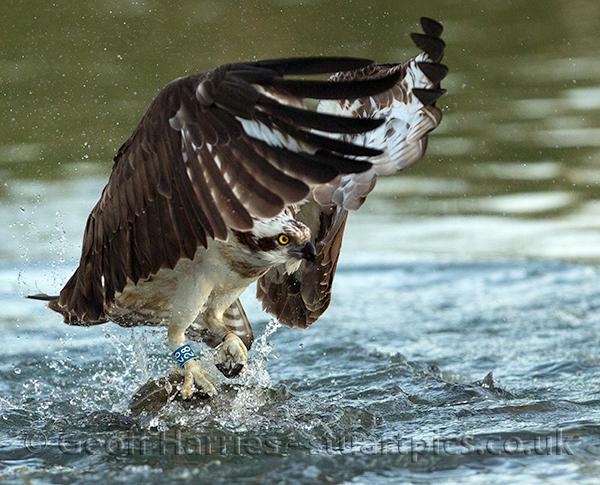 A beautiful bird so exciting to watch them in action.